So, you want to get a wood-fired oven? 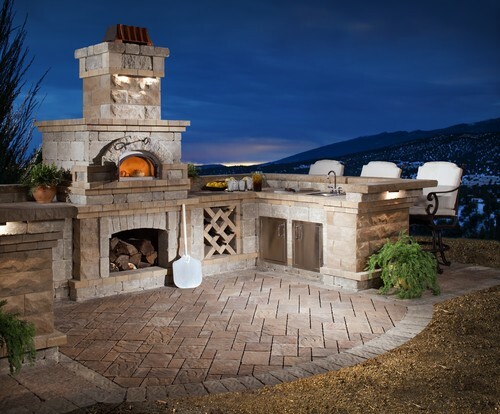 They are fantastic additions to any outdoor living space and one of the hottest trends on the market. Here are some of the things to consider before dreams of perfect pizza become reality. Many people simply call them pizza ovens. However, wood-fired ovens can handle so much more than a perfect pie. Breads bake with perfect crunchy crusts, potatoes roast to perfection inside. It’s possible to roast entire turkeys for Thanksgiving (if your oven is large enough) and cook casseroles and cobblers. Proponents of this high heat method of cooking believe that anything that can go in a regular oven, can be cooked even in a wood fired oven and taste even better. Cooking in a wood fired oven is obviously different than a traditional oven so patience and practice are necessary to master the art. A classic wood-fired oven has igloo-shaped dome as well as an arched opening to allow for air circulation and the insertion of food. Wood is lit and pushed to the back of the dome. The fire pulls oxygen in from the oven’s opening and the heat rises to exit through the chimney flue, creating a “d-shaped” convection flow around the dome’s ceiling. As the fire burns to temperatures up to 1000º F, heat is retained in the oven walls. Over time, you will eventually learn how to manage your oven’s temperature but there are special thermometers to help. Before you begin, check local building codes for permitting requirements and proper setbacks. For example, like fire pits and fireplaces, a wood-fired oven may need to be placed a certain distance away from your roof eve or property line. A gas line—which requires a plumbing permit—is probably necessary to ignite the oven. You might need to hire a draftsman to sketch a simple plot plan to show exact measurements for submission with your permit application. The type of wood you’ll burn in an outdoor wood-fired oven will largely depend on availability based on where you live. You’ll want a hardwood like oak or popular and to avoid soft or oily woods like pine because they create too much smoke, make food taste funky and leave grime behind in the oven. Since wood does influence the taste of your dishes, the type matters. Hickory leaves a strong flavor that is desirable for meats while walnut adds a smoky flavor that compliments a lot of vegetable dishes. Do not burn pressure-treated, laminated, glued, chemically-treated or painted wood. Everything you burn must by dry and seasoned. Seasoning is basically a drying method that allows the wood’s natural internal moisture to escape, otherwise you’ll have lots of unnecessary smoke and creosote build-up to look forward to. Speaking of creosote, you’ll need to be diligent about cleaning this chemical build-up out of the chimney flue every once in a while. Size matters so think about how much food you’ll realistically cook at any one given time. It is wise to consider the largest oven that will fit into your space and budget so that you’ll have the ability to cook entire meals at once, which is what many enthusiasts do. 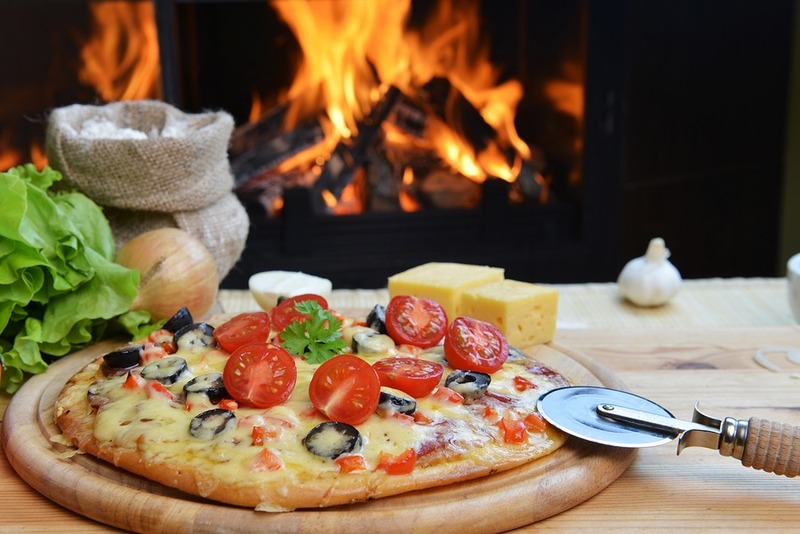 Small ovens can also become quickly overpowered by the fire so it can be trickier to achieve desired results. Keep in mind also that a larger oven will require a longer start up time. If you predict high usage, consider a commercial oven that will retain heat longer than one made for residential use because they are built with thicker components. In addition to size, wood-fired ovens come in a variety of shapes and can be installed in a number of different ways. They can rest freestanding on a barbecue island or built into masonry. You can stucco them in for an adobe or Mediterranean look. The ovens themselves can have a flat roof, domed roof, gabled roof and a variety of other looks that can compliment your home’s features. 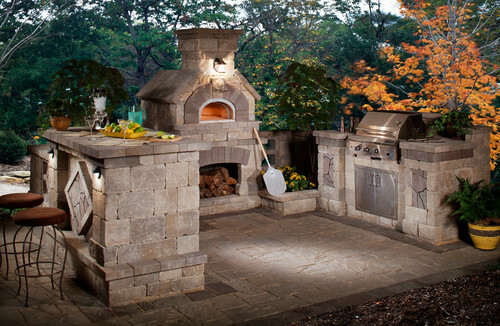 The prefabricated Belgard Elements system also includes a module with a high-end Chicago Brick Oven. 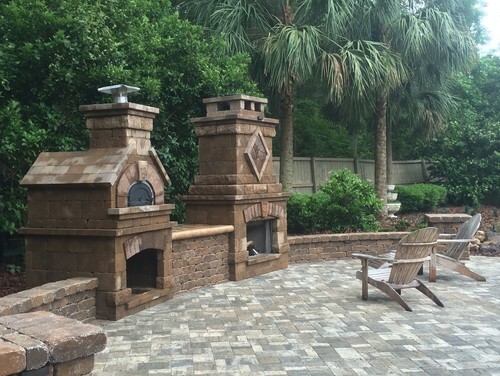 These modular pieces can be mixed and matched to create the outdoor kitchen or living area of your dreams. The best part is that once permits, electrical and plumbing are in place, installation of these prefabricated pieces can take just a day versus months of custom construction. Wood-fired ovens do emit heat so be sure that it is located a comfortable distance from a main seating area. Of course, your wood fired oven will require purchasing some fun gadgets. You’ll certainly need a pizza peel that can withstand extremely high temperatures to slip pizza in and out of the oven. Cleaning the oven requires special long-handled tools. You’ll want consider purchasing an ash rake, brush and shovel to occasionally rid the oven of soot and debris. Cast iron cookware is a must for anything you intend to cook in the oven aside from pizza because it can withstand the extreme heat these ovens can deliver (and then some). Skillet cornbread cooked in a wood-fired oven is amazing, for example. Depending on the type of oven you have, a log holder might be an additional purchase. Log holders help flames properly curl over the dome of the oven, which can mean the difference between great pizza and mediocre pizza. An electric lighter or firestarter ignites flames quickly by blowing extremely hot air onto the wood. They also avoid the use of chemicals. And, if you bought a freestanding wood-fired oven, a cover will help protect it from the elements. Do you have a wood fired oven? If the answer is no, would you like one? We can help. In the meantime, see how it’s possible to grill perfect pizza on your barbecue.